New York state is the only state with a hole in the territory. 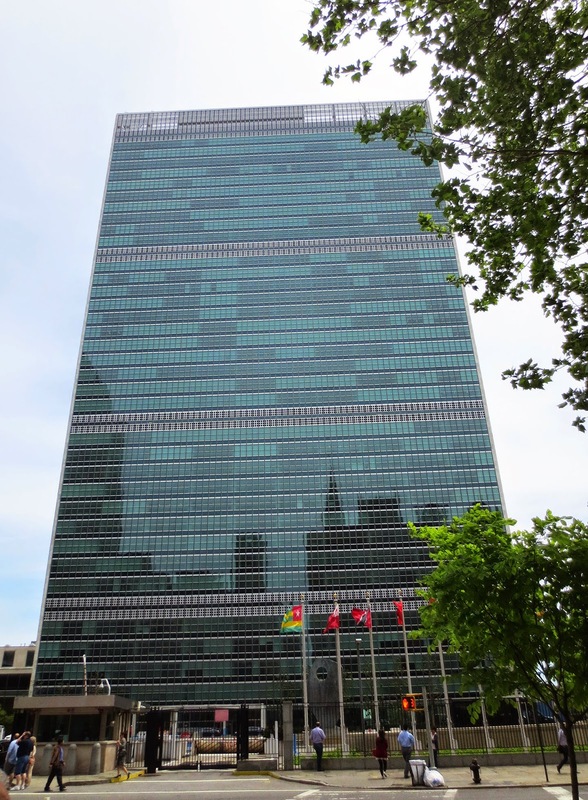 The United Nations building, located in New York City on First Avenue between East 46th and East 48th Streets, maintains an extraterritorial status, and is, therefore, not technically part of the United States. 67 years ago, on October 24 the United Nations came into force when the five permanent members of the security council ratified the charter that had been drawn up earlier that year. These members were: France, the Republic of China, the Soviet Union, the United Kingdom and the United States. The 24th October became an the International United Nations Day. US President Franklin Delano Roosevelt first suggested using the name United Nations to refer to the Allies of World War II. The legend says that Winston Churchill, a great lover of poetry, recited the lines of the Lord Byron poem “Childe Harold’s Pilgrimage”, to Franklin Roosevelt and his granddaughter on a visit to Washington, D.C. in 1944. The first official use of the term occurred on 1 January 1942 with the Declaration by the United Nations. Planning for the building’s construction began in 1947. United Nations had dreamed of constructing an independent city for its new world capital. Dozens of American cities and towns lobbied intensely for the honor of becoming “capital of the world,”. 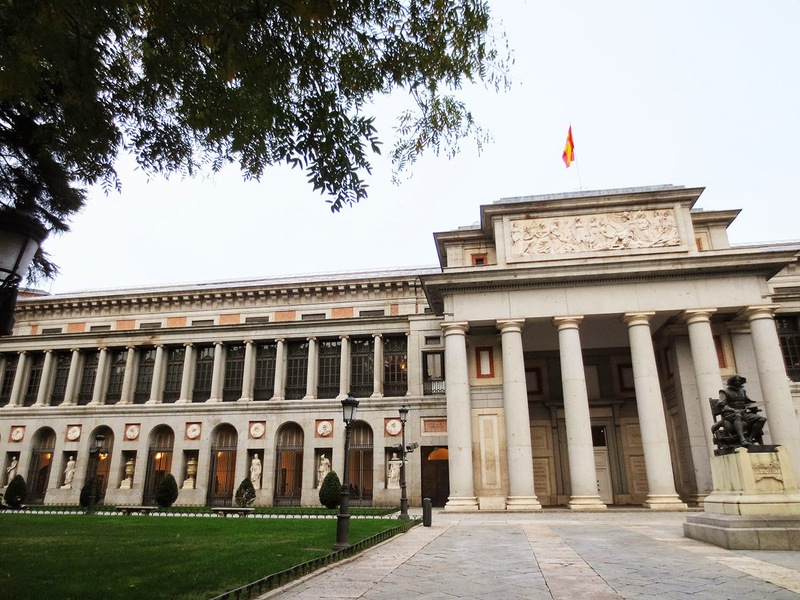 In her book “Capital of the World: The Race to Host the United Nations,” Charlene Mires identifies 248 localities that vied in varying degrees to host the international organization’s headquarters. One of the most interesting proposals came from South Dakota. 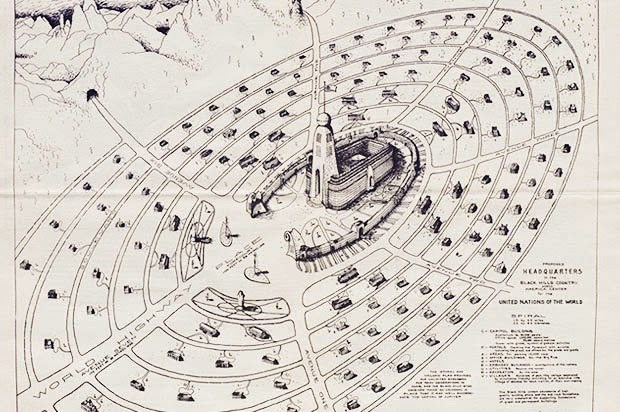 In November 1945, the Black Hills group from South Dacota released a plan for its proposed United Nations headquarters that looked as if an enormous extraterrestrial community. The proposed structure featured 1 million square feet of office space, an auditorium that could seat 20,000 people and a tower topped by a globe as a symbol of the organization’s international activities. There was parking for 10,000 cars, hotels and a lakeside recreational spot. The surrounding mountains were to be used to build little village retreats for each nation. The leader of the group, Spanish war veteran who lost his son in WW2 flew to London in 1945 to make his case directly to the United Nations. He also offered 100 square miles of tax-free land. But commission decided that the United Nations declined the project. A group of New Yorkers, headed by businessman Nelson Rockefeller successfully courted Coordinator of Construction Robert Moses and convinced him that New York would make the best location. 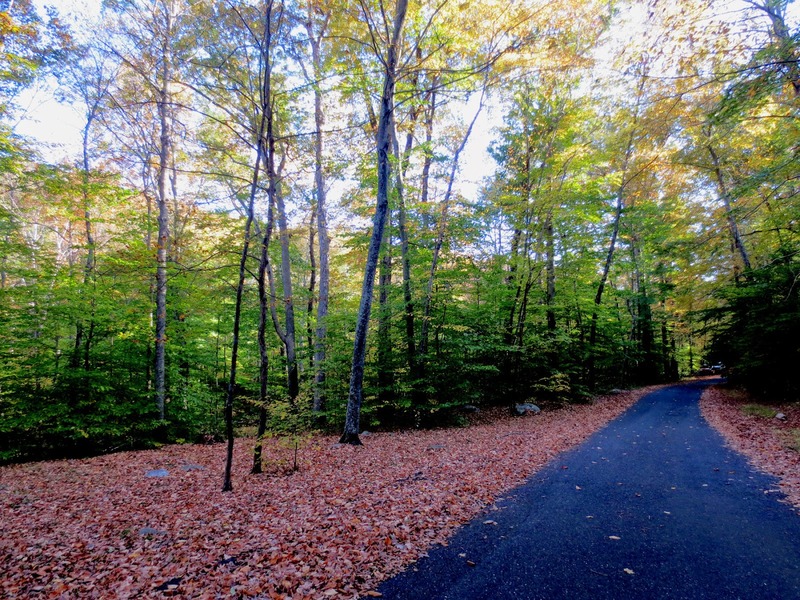 Nelson Rockefeller’s father, John D. Rockefeller, Jr., donated $8.5 million to purchase the land. “New York is a center where people from all lands have always been welcomed and where they have shared common aspirations and achievements. 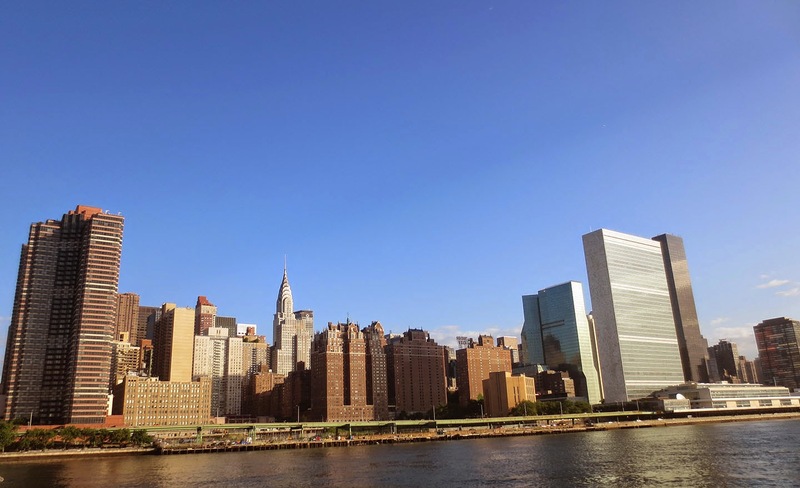 It is my belief that this City affords an environment uniquely fitted to the task of the United Nations…” said John D. Rockefeller, Jr. In 1947, the UN commissioned Wallace K. Harrison to lead the international design team to create their new world headquarters. Architects from each of the founding nations came to New York to take part in the design of the United Nations. The team started working at the beginning of 1947 at an office in Rockefeller Centre. They elaborated 50 different schemes that were then criticized, analyzed and reworked by the whole team. Oscar Niemeyer , a Brazilian architect , was the youngest member of the team. He was 40 years old. Later in 1960, Niemeyer designed the civic buildings for Brazil's new capital, which was built in the centre of the country, far from any existing cities. The final plan 23W, drawn up by Oscar Niemeyer, was adopted by all members of the board. 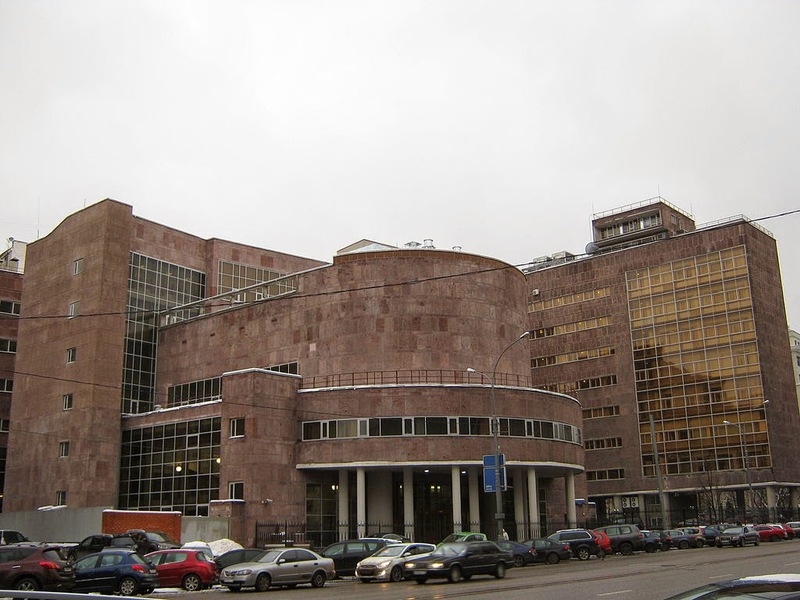 It consists of a complex with four buildings: the Secretariat building, the General Assembly building, the Conference building and the Dag Hammarskjöld Library. The green glass-curtain tower, the first of its kind in New York, contrasts starkly with the 1920s buildings of Tudor City nearby. Niemeyer collaborated with the French architect Le Corbusier to create the scheme. A Swiss-French architect Le Corbusier (Charles-Edouard Jeanneret was his real name) was 20 years older than Niemeyer. Le Corbusier rejected the preposition to build the Palace of the Soviets in Moscow in 1931, but built Tsentrosoyuz in 1933 (btw, I think it is ugly). The only building Le Corbusier ever designed in North America was the Carpenter Center for Visual Arts in Cambridge, Massachusetts. Niemeyer and Le Corbusier combined their previous projects into a single scheme. The UN skyscraper was the first major International Style building to be constructed in New York. The international style was chosen by the board members as it symbolized a new start after the war. 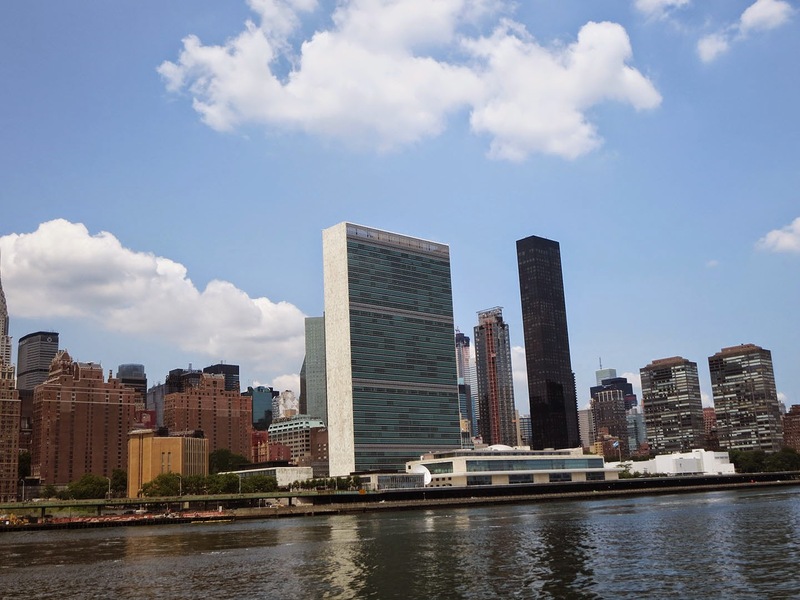 This 550-foot tall structure has become a worldwide symbol of the United Nations. In 1971 The General Assembly adopted a resolution declaring that United Nations Day shall be an international holiday and recommending it be observed as a public holiday by all United Nations member states. O... Where is my holiday? 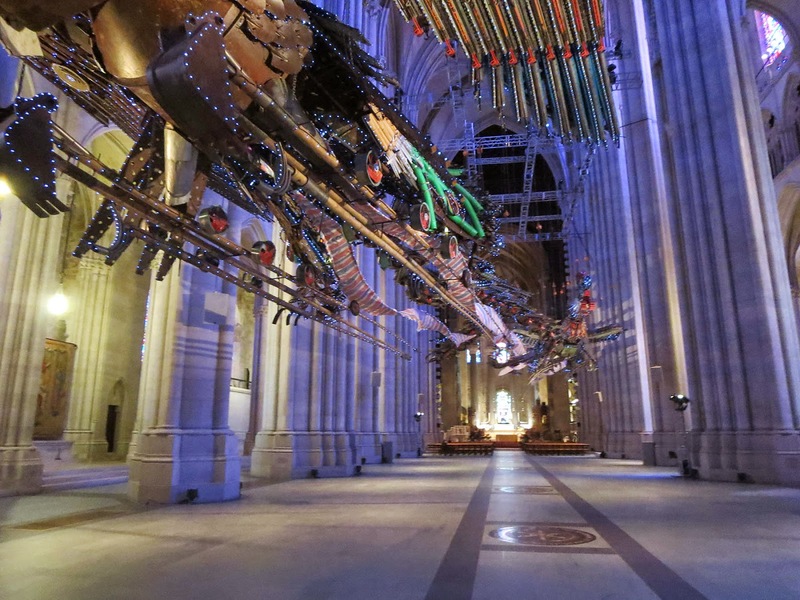 Weighing over 12 tons and measuring more than 90 feet ( 30 meters) long each, the pair, called Feng (male) and Huang (female) hang from the ceiling of the nave at the Cathedral of Saint John the Divine. The Cathedral, located in Manhattan's Morningside Heights neighborhood north to the Central Park, is the fourth largest Christian church in the world. 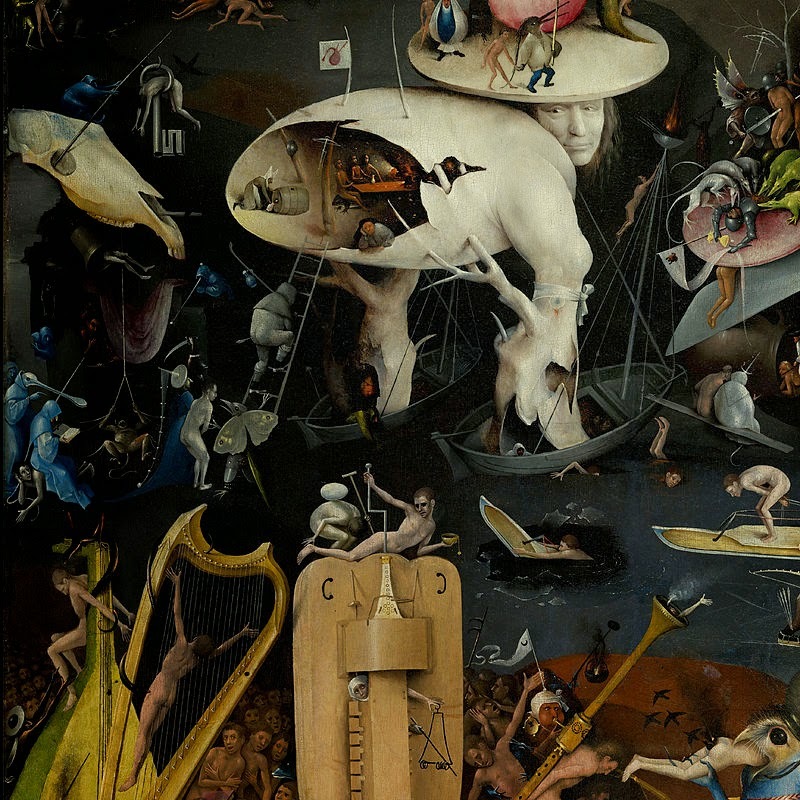 I wrote about the cathedral in one of my posts. The Cathedral’s stunning stained glass windows provide the perfect backdrop the glittering and colorful giant installation. Thousands of little lights and vibrant colors give soul to the cold, heartless steel, making the birds look absolutely stunning. 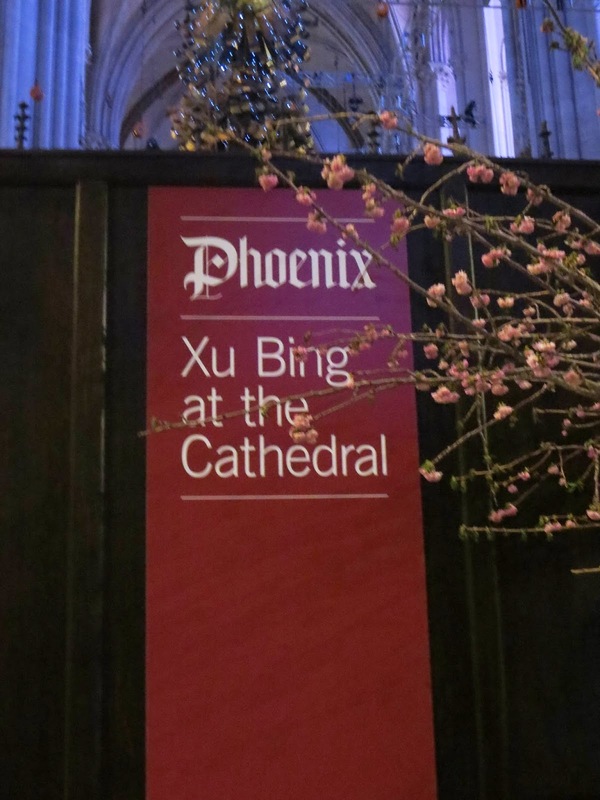 “The Phoenix: Xu Bing at the Cathedral,” installation opened March 1 and runs through January 2015- so you have time to visit it. 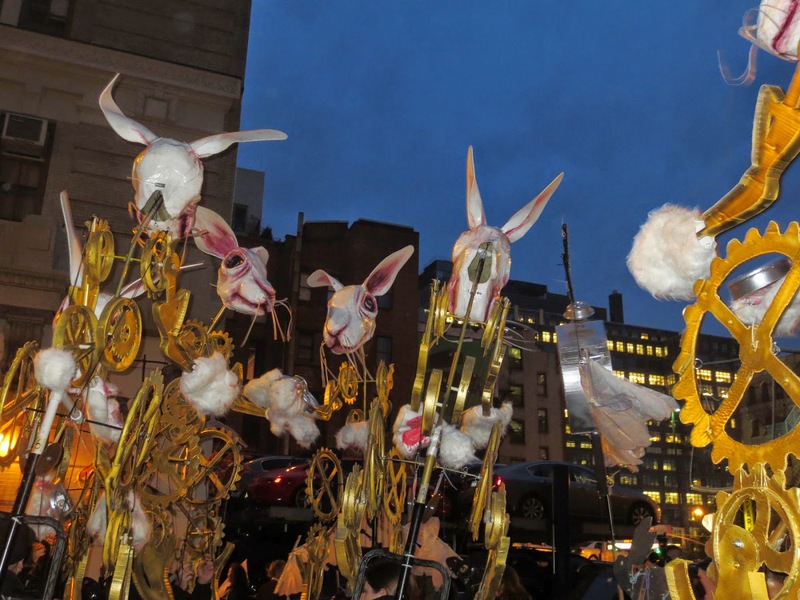 The birds are made of unexpected materials: layered shovels form the feathers, crowns are made of weathered hard hats and birds’ bodies sculpted from salvaged construction debris. Born in 1955 in the China, Xu Bing was exiled to the countryside as part of Mao’s “re-education” during the Cultural Revolution. 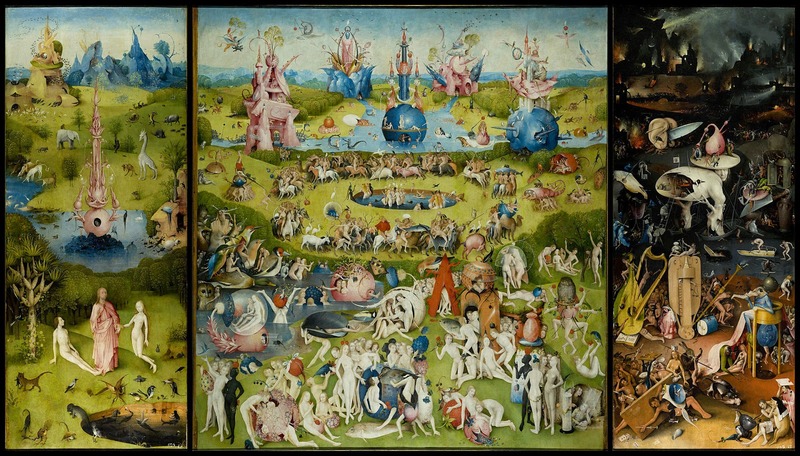 In 1990 the artist moved to the U.S. in 1999 he received a MacArthur genius grant. He has since taken up partial residence in China, maintaining studios in both Brooklyn and Beijing. New York Time wrote: In 2008, Xu was asked to design an art piece for a new building in Beijing’s central business district. When he entered the construction site, he was faced with a camp of migrant workers whose work conditions left a lot to be desired. The phoenixes are the artist’s direct response to what he saw there—the human face of China’s rebirth: Poor people who are building luxury buildings while being treated like scrap metal. 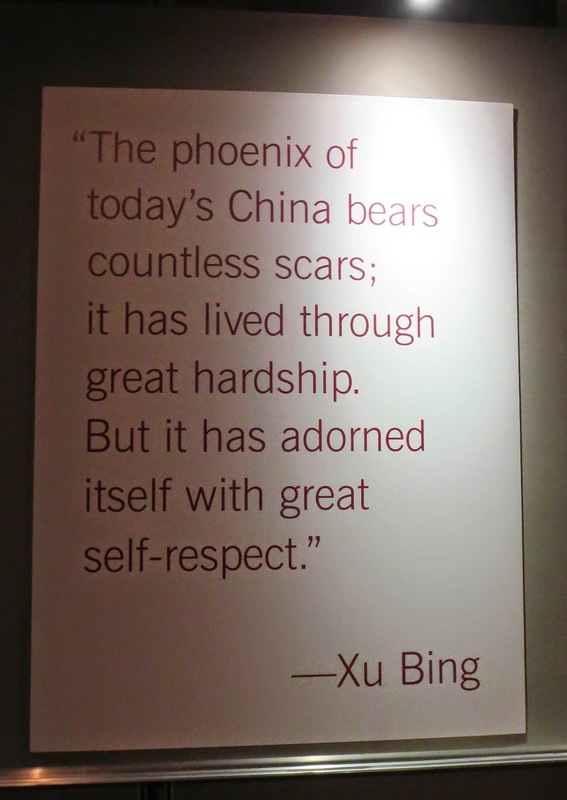 Throughout China’s history, every dynasty has had its form of phoenixes. In ancient and modern Chinese culture, these birds an often can be found in the decorations for weddings or royalty, along with dragons. Chinese considered the dragon and phoenix symbolic of blissful relations between husband and wife, another common yin and yang metaphor. It was believed that the phoenix's song controlled the five tones of Chinese music. The song includes all five notes of the traditional Chinese musical scale.It's flight represents the capacity to leave the world and its problems behind, flying towards the sun in clear pure skies. 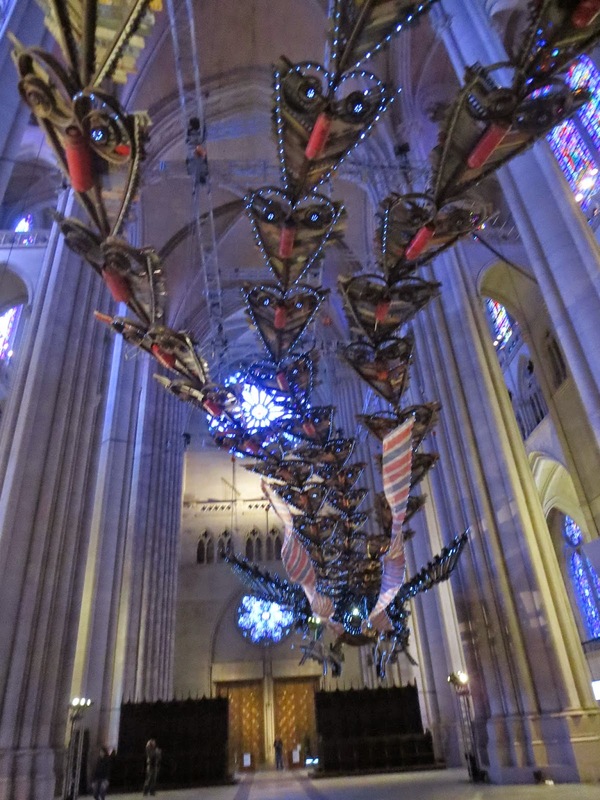 The Phoenix: Xu Bing at the Cathedral is the second presentation of these works in the United States. They were previously on view at MassMoCA, North Adams, MA, and have been exhibited in China at the Today Art Museum, Beijing, and Expo10, Shanghai. 432 Park-tallest residential building in the Western Hemisphere. View from the top of Empire skyscraper. 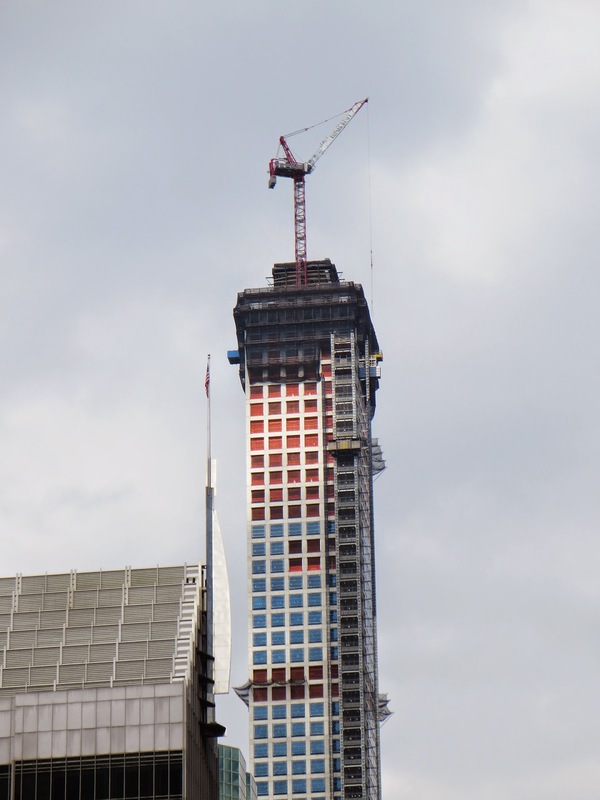 More than a year ago, in June 2013 in one of my posts I wrote about One57 - new skyscraper on West 57 in Midtown. A year ago One 57 was the tallest residential building in the western hemisphere. Now I have to update the header of my post about One57 - a new building has the title 'the tallest'. The building is 28 feet taller than One World Trade Center– if you don’t count the spire. New York’s tallest buildings have always been its icons: the Chrysler Building, the Empire State Building, the World Trade Center. I already wrote about two the most recent additions to the New York Sky line- One World Trade Center (Freedom tower) and One 57,that is just several blocks to the west from the new giant. 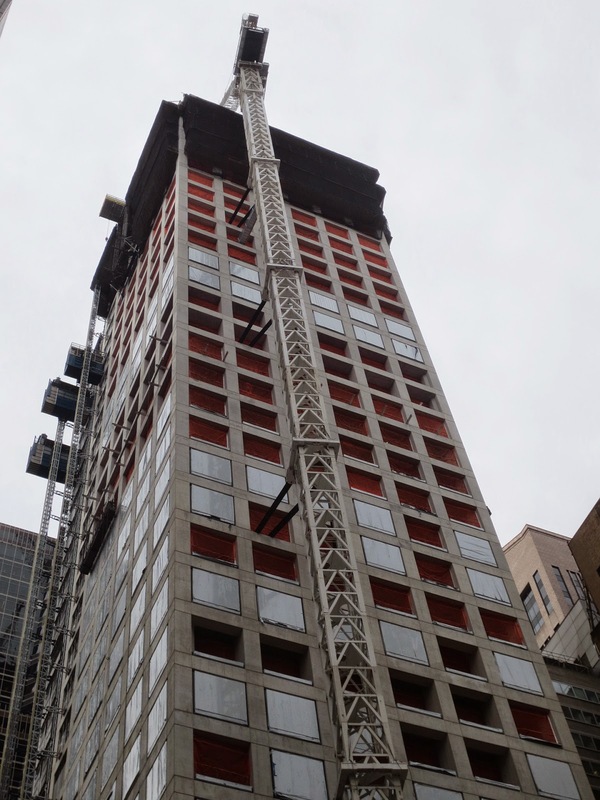 The 96-story on Park avenue condo offers 104 units, ranging in price from $16.95million to $95million. 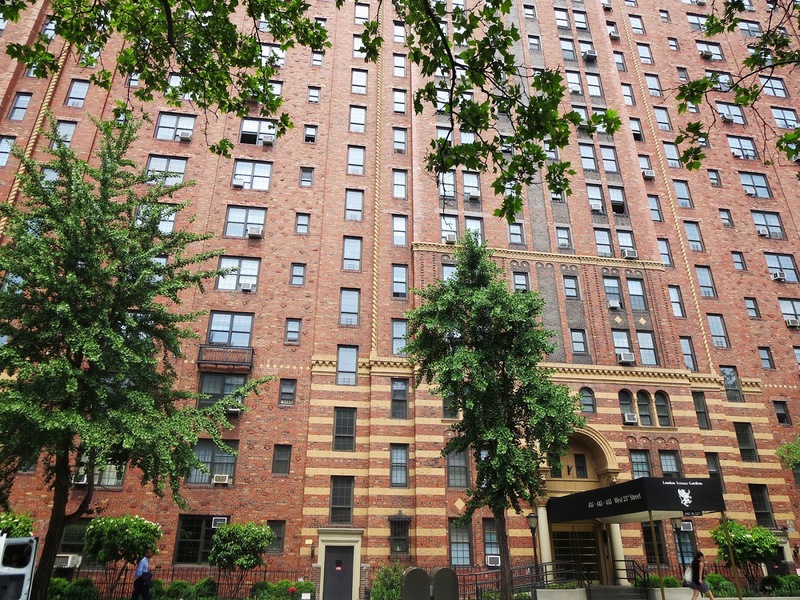 Windows are huge, at 10 x 10 feet, each apartment has 12-foot ceilings and private elevators. You can buy a 6 bedroom condo on one of the top floors of the building for $82 million. The developer of the building said: “It’s almost like the Mona Lisa, except instead of it looking at you, you’re looking at it wherever you are. You can’t escape it.” On a clear day you can see the building from all five borough of the great New York. It changed the skyline of the city. If you live on the lower floor you still have access to the view- there are huge windows on the resident-only observation deck. There are climate-controlled wine cellars, an outdoor terrace, a spa, a “massage therapy room,” and a pool in the building. One of the most impressive things about 432 Park Avenue is its width to height ratio (slenderness ratio), 19:1, which makes it one of the thinnest skyscrapers in the world. Slender towers require special measures, and sometimes considerable expense, to counteract the exaggerated forces of wind on the vertical cantilever. The most slender residential skyscraper in the world is Hong Kong's Highcliff, which rises 72 stories and 828 feet (252 meters) with an slenderness ratio of 1:20. The Skyscraper Museum at 39 Battery Place currently has an excellent exhibit in place called Sky-high & the Logic of Luxury that explains more details of super slender towers. Real Estate site about the luxury buildings in NY published an intersecting picture some time ago. On this picture you can see what the skyline will look like in 2020. Of these five buildings, one them - the 90-story One57 (second from the right) is complete. Four of the five buildings are on the west side of Midtown Manhattan. The market for ultra-luxury apartments in New York City is booming. The space is very limited and the buildings became slimmer and higher. One57, that was the tallest residential tower before 432 park, sits on the 57th Street that earned the nickname "Billionaires' Row." 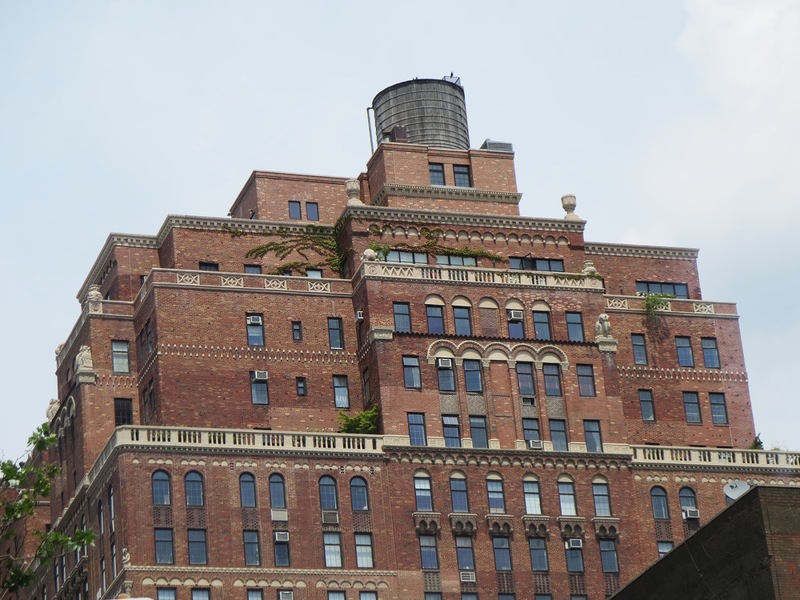 57th Street is already known for its famous buildings, hotels, and restaurants. 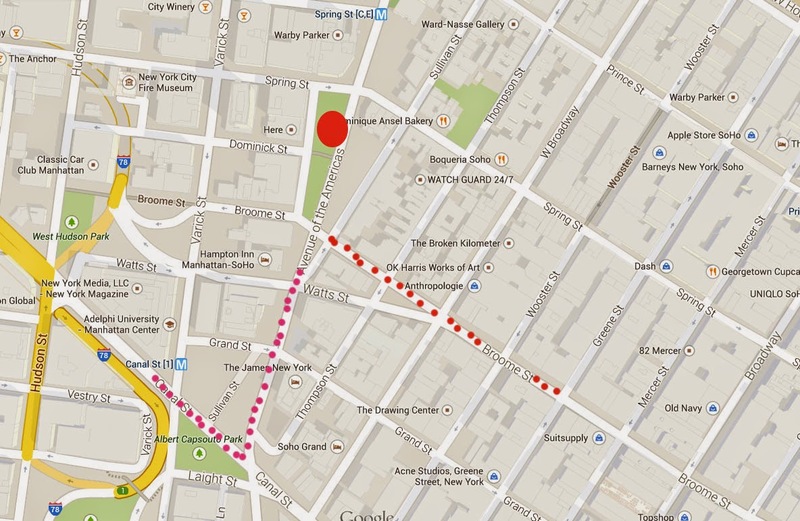 The 2-mile (3 km) street is home to the Hearst Tower, Carnegie Hall, and the Russian Tea Room. 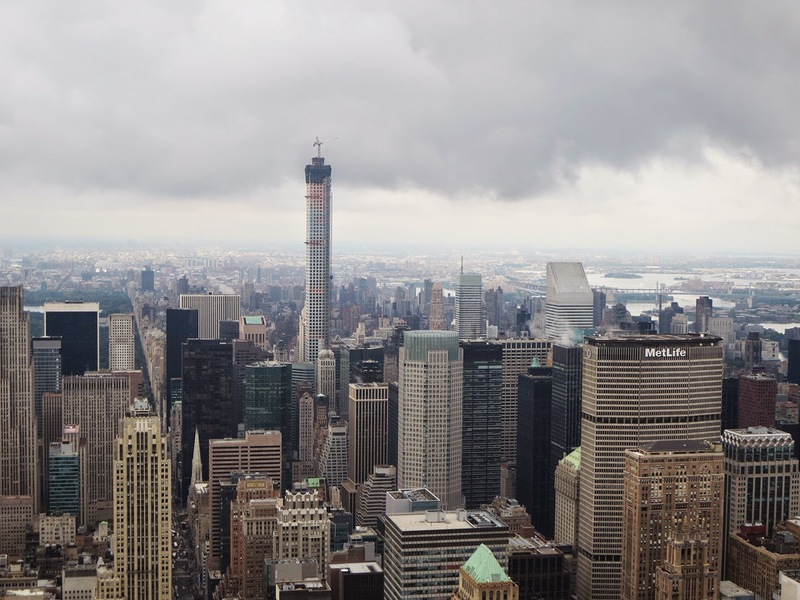 432Park is the tallest for now, but not for a long time- the plans for the Nordstrom Tower on the Western end of 57 street are already approved. Before 432 Park there was Drake hotel on this lot, the corner of Park Avenue and 56 street. The hotel was built in 1926 and had 21 floors with 495 rooms. Notable hotel guests included Frank Sinatra and Muhammed Ali. During their stay there in 1973, Led Zeppelin had $203,000 stolen from a safe deposit box at the hotel. The money was never recovered and the identity of the thief or thieves has never been discovered . Continuing a 113-year-old tradition, the Nobel Foundation in Stockholm started awarding the best and brightest minds on October 2014. Among the record number of candidates (278 candidates) for Nobel Peace Prize this year there were Russian opposition newspaper 'Novaya Gazeta', Tunisia's democratic leadership, Pakistan schoolgirl Malala Yousafzai and Pope Francis. The 17- year old Malala Yousafzai got the prize and became the youngest Nobel laureate in the history. The inventor of dynamite Alfred Nobel was born on 21 October 1833 in Stockholm, Sweden. His fortune was used posthumously to institute the Nobel Prizes. No other country has had as many Nobel Prize recipients as the United States since the awards were first presented in 1901. Theodore Roosevelt was the first American to win a Peace Nobel Prize - he negotiated an end to the Russo-Japanese War. 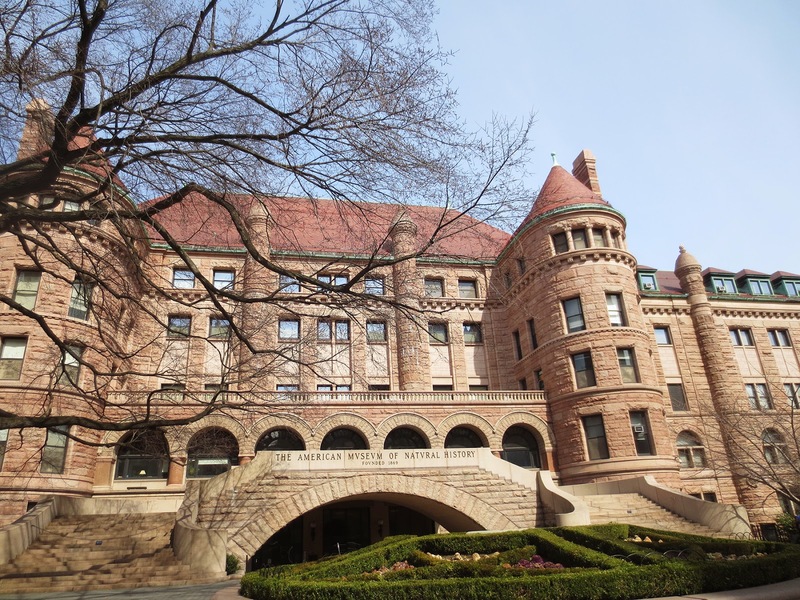 Park near the American Museum of Natural History is named for Theodore Roosevelt. So it was completely reasonable to erect the Nobel Monument in this park. It was a joint project initiated and overseen by the Consulate General of Sweden and the New York City Department of Parks & Recreation. On October 14, 2003, the monument was presented as a gift to the people of the City of New York and unveiled by New York's Mayor Michael R. Bloomberg and Sweden's Deputy Prime Minister at the time, Margareta Winberg. Bloomberg said on the unveiling ceremony. : "New York City is a fitting home for the Nobel Monument which recognizes the efforts Americans have made towards creating a more peaceful, safe, and healthy world... And I am especially proud to say that of the 271 Americans that have received the Nobel Prize, 24 have been graduates of New York City's public schools." The monument, designed by Swedish sculptor Sivert Lindblom, presents the lengthy list of American Laureates and also leaves the space for future honourees to be engraved. It’s the only such monument honouring American Nobel Laureates in US. This year one more New Yorker is added to the list. John O'Keefe was awarded one half of the Nobel Prize in Physiology or Medicine 2014. Prize motivation is "for their discoveries of cells that constitute a positioning system in the brain". Born in New York City to Irish immigrant parents, O'Keefe attended Regis High School (Manhattan) and received a BA degree from the City College of New York. At the time of award John was affiliated with University College in London, Great Britain. Among the 57 US scientists who received the Nobel Prize in Physiology or Medicine between 1951 and 1975, 32 were US citizens. For 1976-200 years the ratio is 56-40. The Nobel prize has been awarded 853 times, of which 23 awards were to organizations. 353 laureates were Americans. 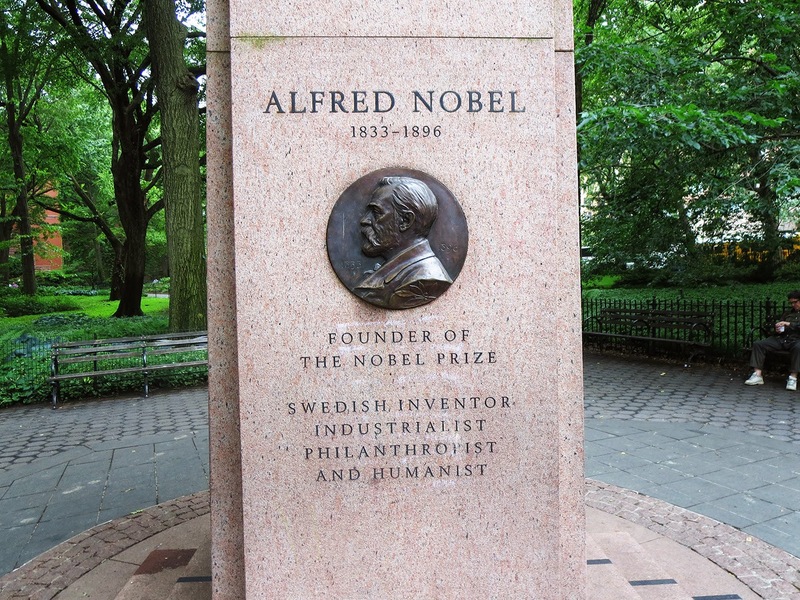 New York can be proud: the first American to win a Nobel Prize was New Yorker! More than 70 Nobel Laureates are New Yorkers. Bronx High School of Science has produced at least six, Stuyvesant High School, has produced four. CUNY( City University of New York) has 12 graduates who have won the Nobel. 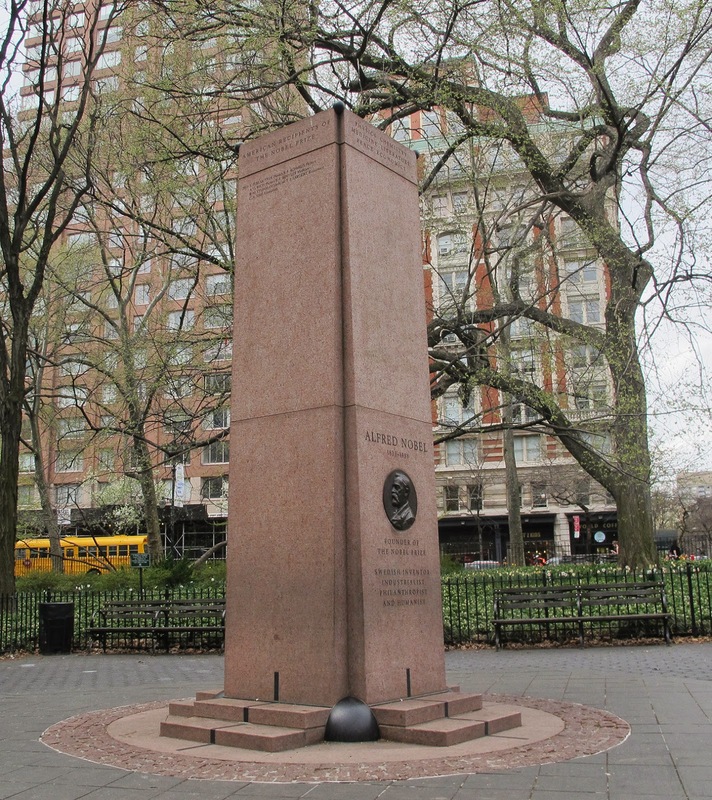 It is the only monument in New York City parks which features the names of living persons. 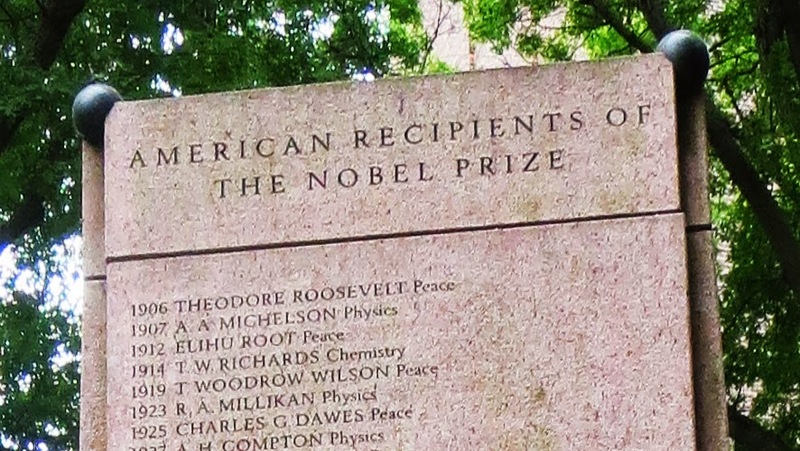 Every year, the names of the American Nobel Laureates from the previous year are inscribed onto the monument and unveiled at an annual ceremony. There are two beautiful parks in the Skyland region of New Jersey, hour and fifteen from New York , sitting very close to each other. The first one is New Jersey Botanic Garden and the second is Ringwood Manor. I have been there several times, in spring and summer, and early fall. The parks are beautiful at any time of year. 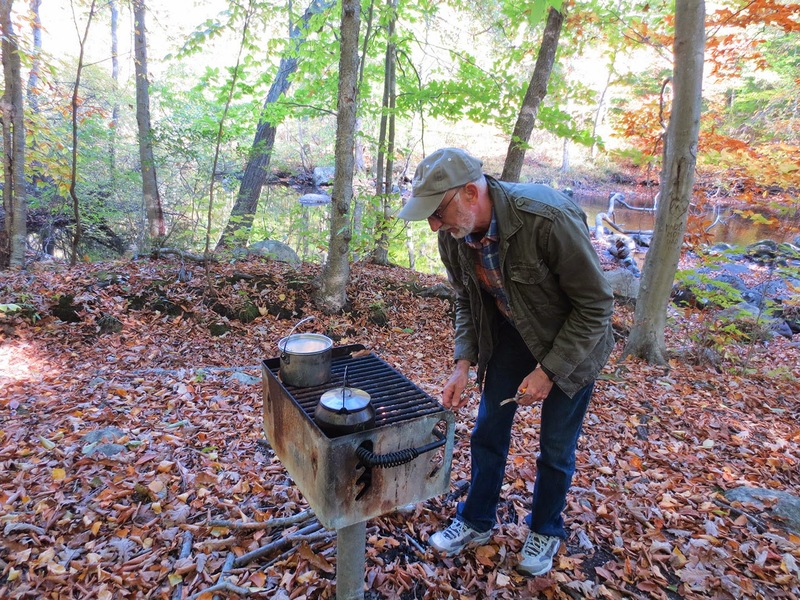 If you plan to visit the parks start with the Botanic garden and then move to Ringwood manor park where you can have a barbecue on almost private lot near the bubbling brook. The layout of the annual formal garden in New Jersey Botanic Garden has not been changed from the original design. The displays in this garden therefore change not only through the seasons, but also from year to year. It is a very popular place to make wedding pictures. The trails in New Jersey Botanic Garden wildflower area are beautiful, with flame azaleas, water lilies, frogs in the pond, and lots of little nooks and crannies to explore. New Jersey Botanic Garden has extensive lilac collection with over one hundred varieties. The lilacs garden is at its best near the middle of May. There is a Crab Apple Allée and the fenced-in Rhododendron Garden with a large collection of hostas. The story of the garden starts in 1801, when the land was cleared for farming. 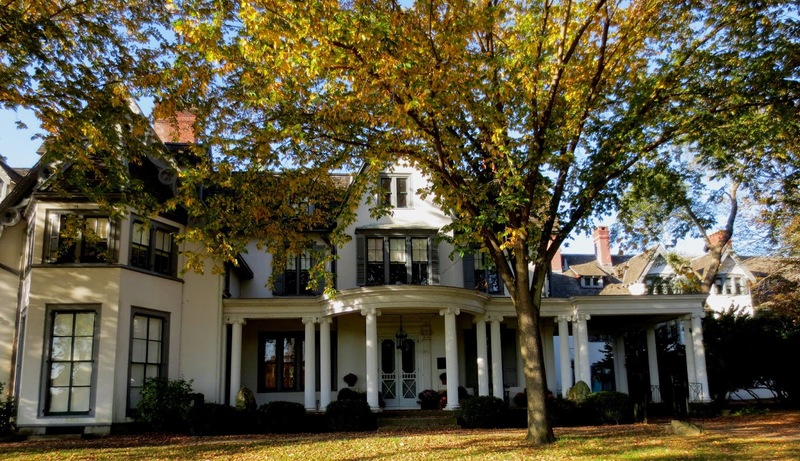 The first owner of the property was Francis Lynde Stetson who named his country estate "Skylands Farms" and maintained a stylish mansion of native granite and a working farm. He was a prominent New York lawyer and entertained Skyland such friends as Andrew Carnegie and J.P. Morgan. Skylands was sold in 1922 to Clarence McKenzie Lewis, an investment banker and a trustee of the New York Botanical Garden. The house and gardens were a joint project between the Lewis and his mother, Helen Forbes Lewis Salomon, the widow of William Salomon, founder of Salomon Brothers, the New York investment banking firm. The Stetson house was torn down, and the current Tudor mansion of native granite was built on the site. The ground floor of the house includes exquisite antique panels, fireplaces, and stained glass collected from estates and castles throughout Europe. For thirty years Lewis collected plants from around the world, resulting in one of the finest collections of plants in New Jersey. Clarence Lewis sold the Skylands estate and its contents in 1953, at least partly because he could no longer get enough help to keep the gardens in pristine condition. The buyer, a small college, occupied the property until 1966, when it was sold to the state of New Jersey. 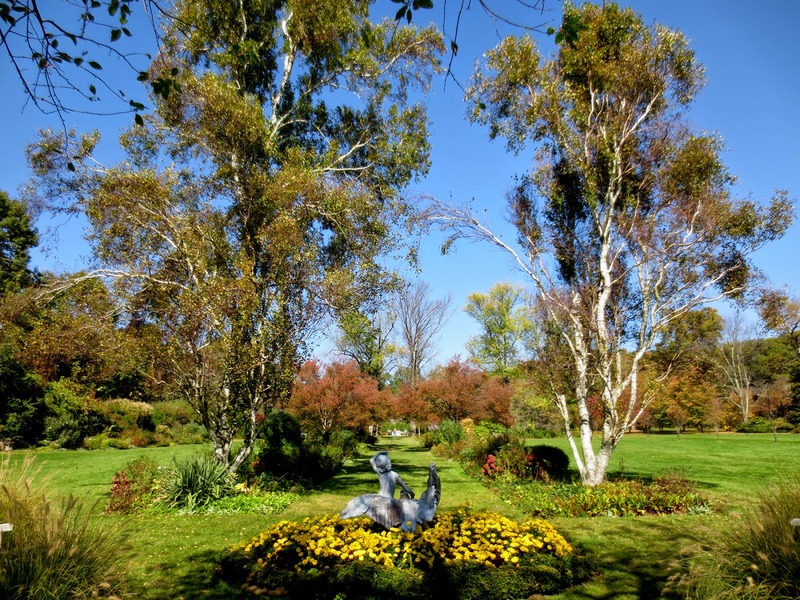 The New Jersey State Botanical Garden is open every day from 8 a.m. to 8 p.m., admission is always free, but on summer Saturdays, Sundays, and holidays from Memorial Day weekend to Labor Day, there is a State parking fee of $5 for New Jersey-registered vehicles and $7 for non-New Jersey-registered vehicles. In May , when lilacs are in bloom you have to arrive early- otherwise you will not be able to find a free parking space! . 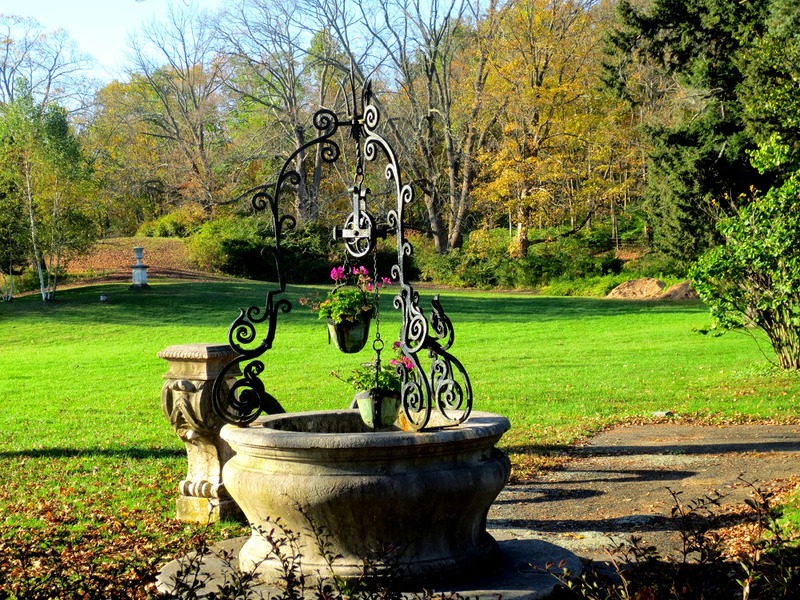 The Skylands Manor is one of New Jersey’s premier destination wedding sites. You and your guests can stay in one of our 24 beautifully appointed glamorous suites or overnight rooms. If the house is not booked for the events it works as a hotel. But not all the rooms have the private bathrooms and the reviews are not so good on Tripadvisor. Chelsea residents and High Line neighbors Joshua David and Robert Hammond founded Friends of The High Line in 1999 with the goal of restoring the elevated tracks to public use. 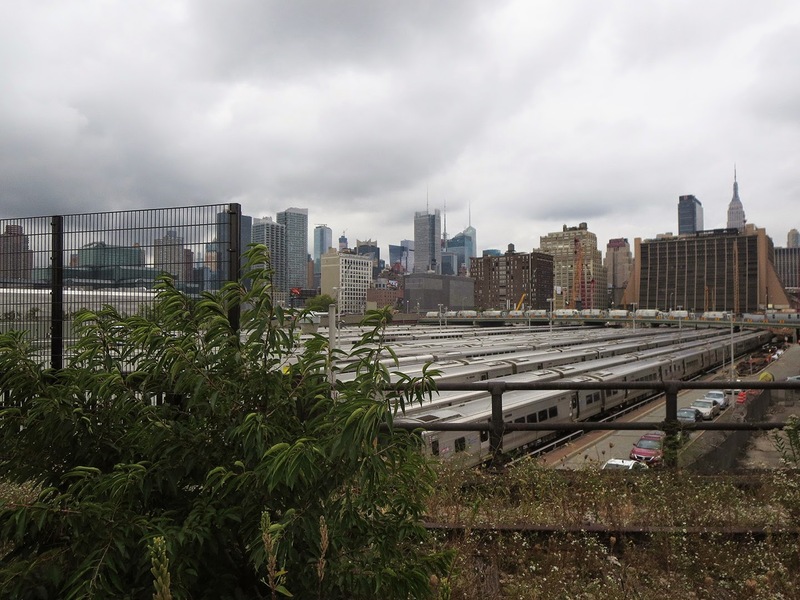 The section of elevated line from the Garment District up to Penn Station was converted into a fantastic park with lush landscaping, grassy areas, elevated views, art, and a nice escape from the chaos of the streets below. 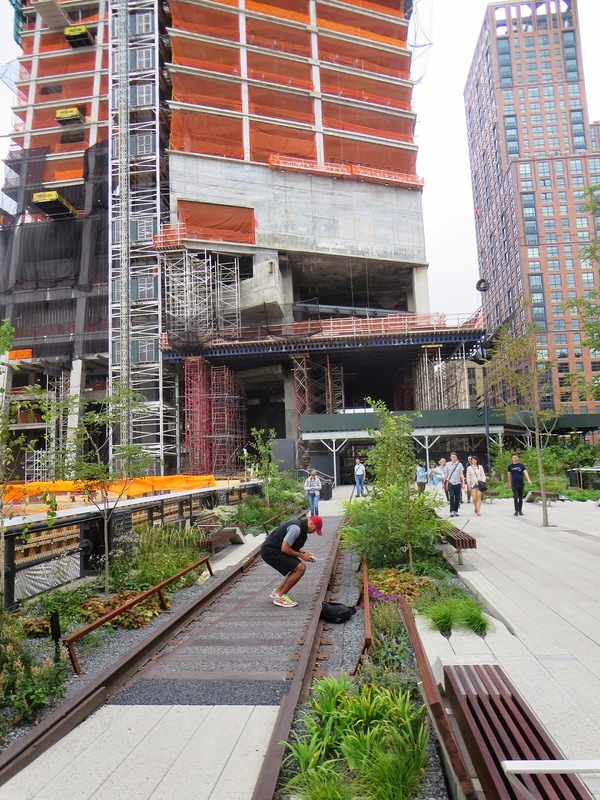 On September 21, 2014 the final section of the park opened to West 34th street, near the Jacob Javits Center. 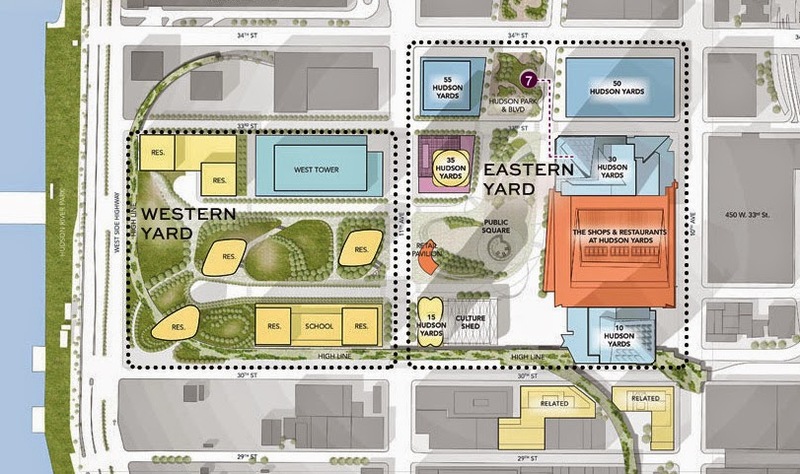 The extension brings the total length of the elevated park to 1.45 miles (2.4 km). The final section put the finishing touch on what has become the most successful public-space transformation in the United States, if not the world. 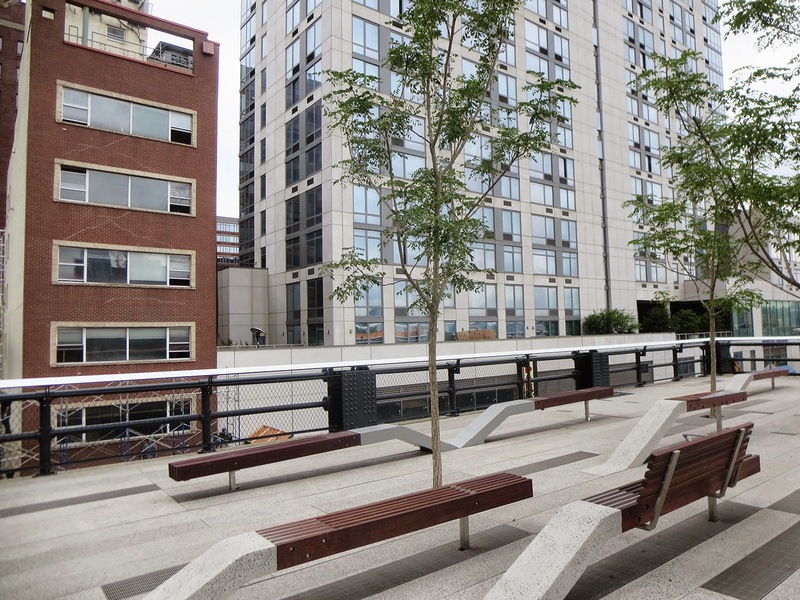 The High Line attracts five million visitors a year, making it the second most visited cultural venue in the city. Michael Kimmelman at "New York Times" said : " If the newest, last stretch of the High Line doesn’t make you fall in love with New York all over again, I really don’t know what to say.... It’s hard to believe now that some New Yorkers once thought renovating the decrepit elevated rail line was a lousy idea. Not since Central Park opened in 1857 has a park reshaped New Yorkers’ thinking about public space and the city more profoundly. Like Frank Gehry’s Guggenheim museum in Spain, it has spread a dream, albeit largely a pipe dream, around the world: how one exceptional design — in this case, a work of landscape architecture — might miraculously alter a whole neighborhood, even a whole city’s fortunes." The final section called ‘High Line at the Railyards' offers picnic tables, movable levers, ramps, hidden spaces, and curving walkways. The vegetation and planting scheme attempt to emulate the natural landscape of the highline prior to the park design. 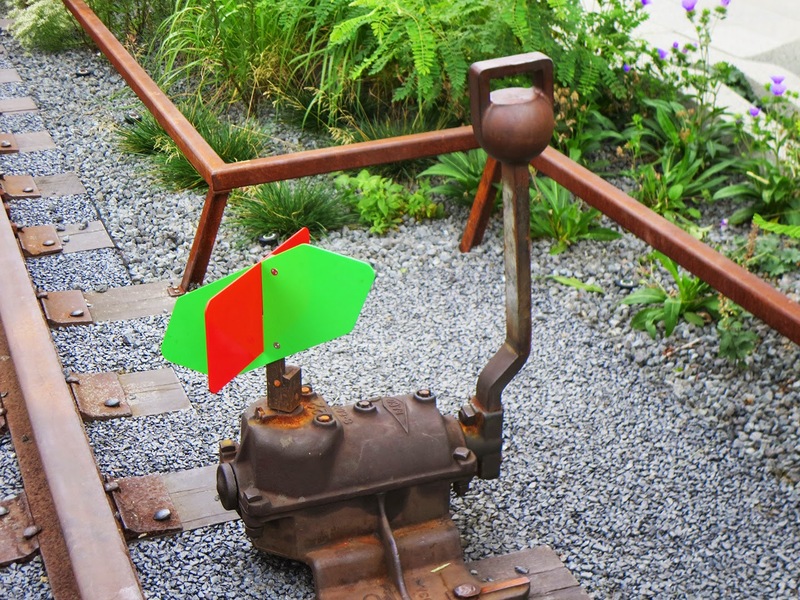 Several original rail switches have been retrofitted with colorful signals, designed to be played with by future visitors. 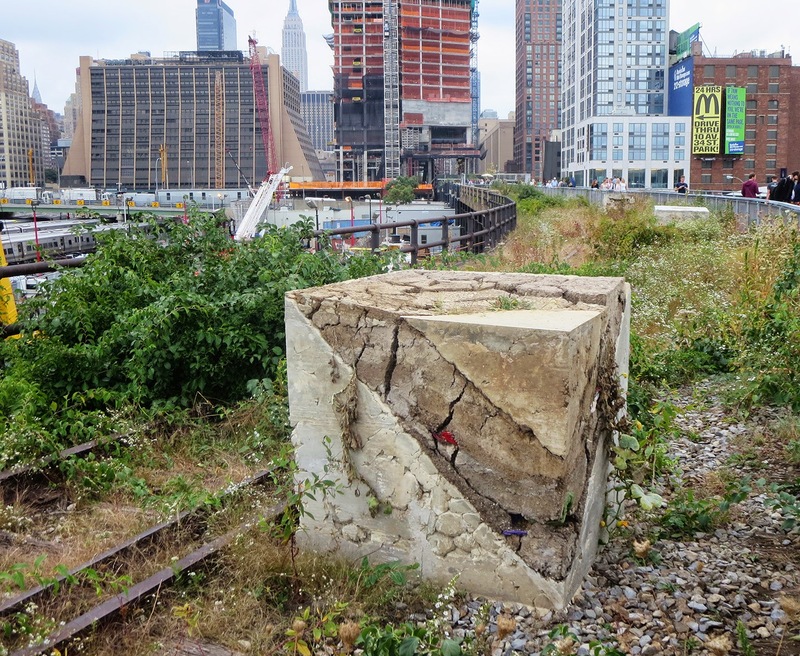 "The Evolution of God ", thirteen abstract sculptures by Argentine artist Adrián Villar Rojas punctuate the wild, self-seeded landscape of the High Line at the Rail Yards. That part of the park curves around Hudson Yards, a mammoth high-rise development that by 2024 will be home to more than a dozen new skyscrapers - office and apartment towers, at least one of them to rise higher than the Empire State Building. 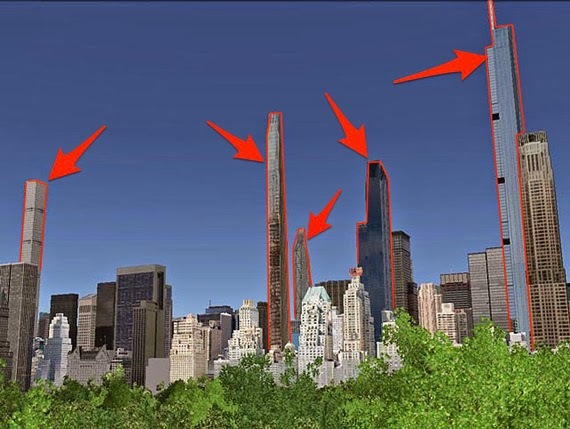 In early 2014, real estate firm Massey Knakal announced a conceptual super tall building with a 1.22 million square feet capacity and 108 stories on the north side of 34th Street between Hudson Boulevard and Tenth Avenue. It would be the tallest tower in the Western Hemisphere if completed. 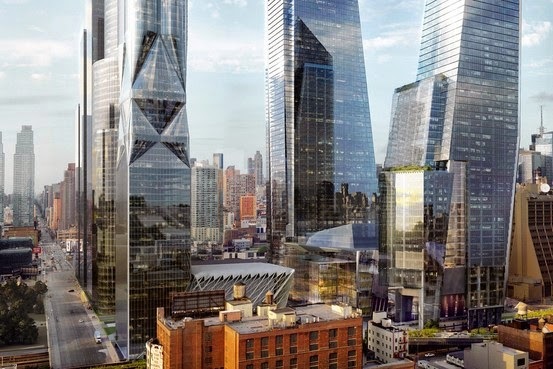 The 52-story 10 Hudson Yards will be the first tower completed at the site. ﻿﻿ It's currently under construction and on track for a late 2015 opening. No wonder other cities all over the world plan to create imitations to transform the urban environment into their own “parks in the sky” London may top the list with a garden bridge over the Thames. San Francisco is constructing a park on the roof of a bus and rail station, Rotterdam is converting an electric railway line built in the early 1900s into an elevated park. 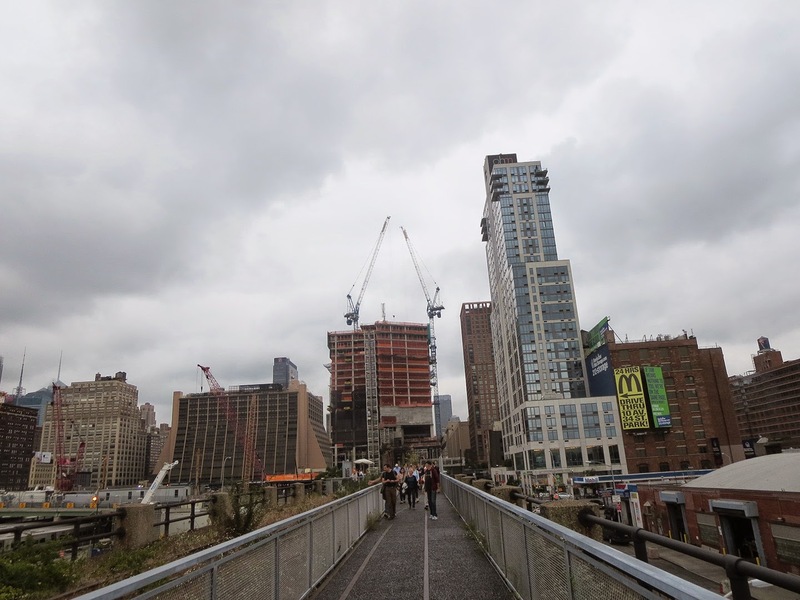 The financial impact of High Line is massive, attracting $2.2-billion in new economic activity and raising tax revenues by an estimated $980-million over the next two decades. There is one funny thing that I'd like to say at the very end of my story. 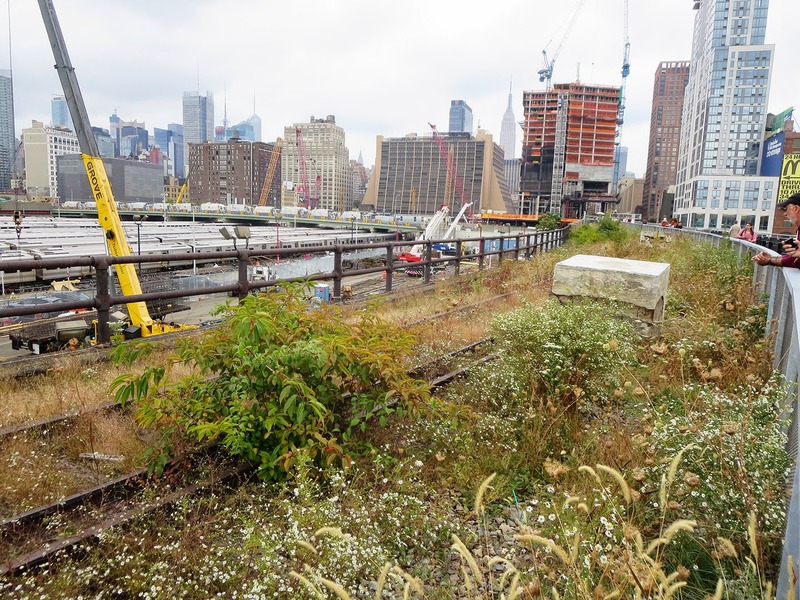 The New York Times, The New York Daily News, the Associated Press, ABC News, and The Wall Street Journal reported that both President Obama and Mayor Bill de Blasio neglected to visit The High Line. Obama visited New York more than 70 times since 2009 when the first section of High Line was open. 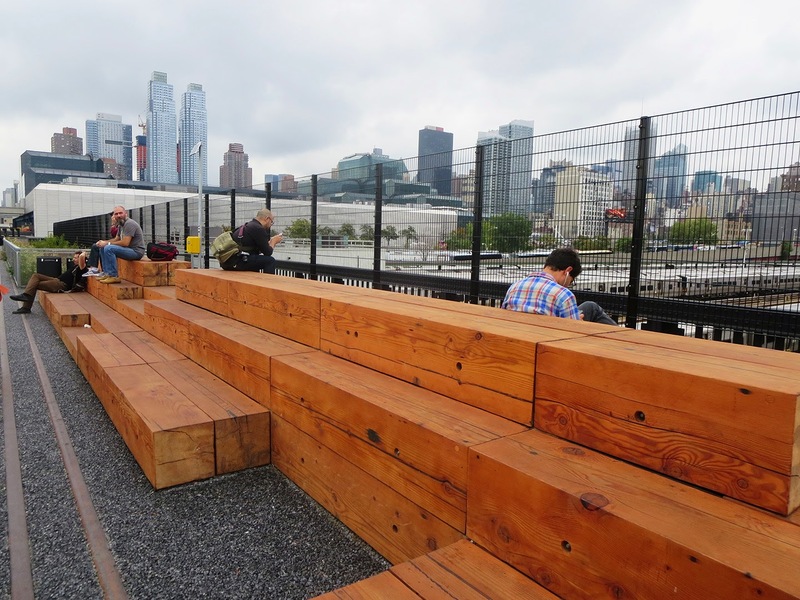 But you should visit the new High Line at the Rail Yards and see all of the incredible design for yourself above 30th street and 10th avenue! 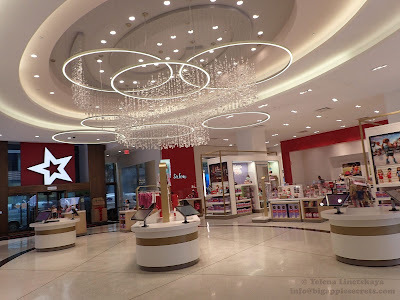 Or maybe you'd like to invest in the Hudson Yards - ! The English word Chelsea originates from the Old English term for "landing place for chalk or limestone". When Captain Thomas Clarke bought a large piece of the old farm in 1750 he named it Chelsea, after his native part of London. His son Clement Moore , best known for having written in 1822 the magical poem that begins, "T'was the night before Christmas, when all through the house...." with his friends divided his lands into lots and sold them for fine residences. Completed in 1845, the development was called London Terrace. As the buildings declined, however, the land value rose. 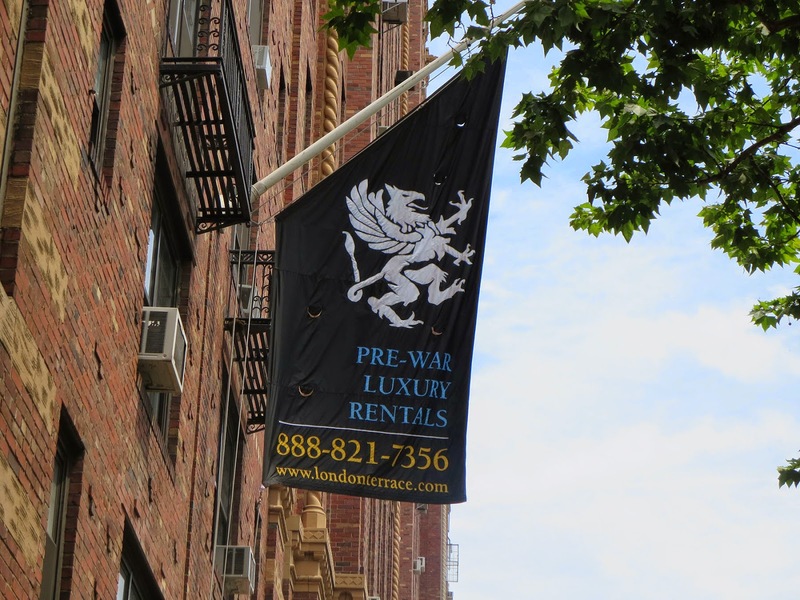 Developer Henry Mandel recognized this and gradually acquired control of the block. By 1929 he had it all. The central structure of the new complex was built in 1930. A year later the four corner buildings were added. 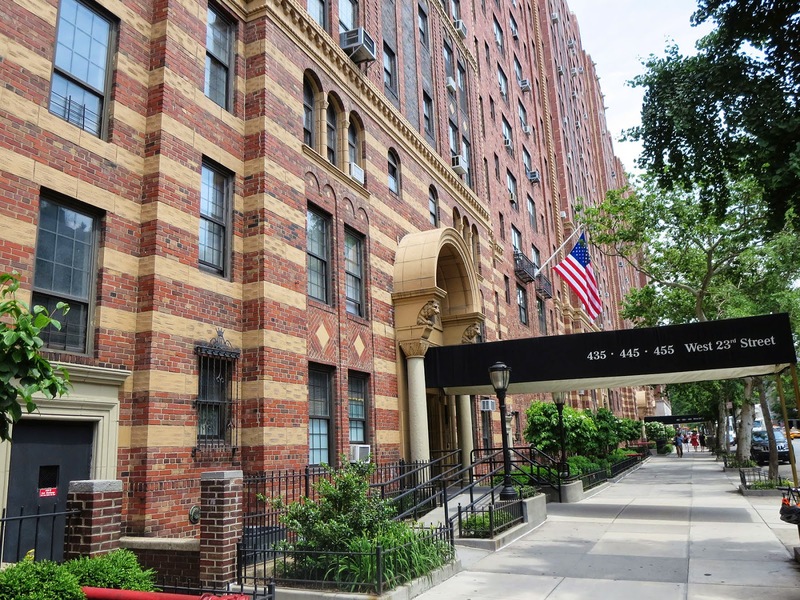 The complex contained 1665 apartments comprised of 4.000 residential rooms. Most were either studios or one-bedrooms, with only a few large apartments in the corner buildings and at the terraced levels. At that time it was the largest apartment building in the world. It was the largest residential apartment complex in the world when it was completed. Clement Moore himself was remembered at the cornerstone-laying ceremony, with his 15-year-old great-great-grandson doing the honors with the trowel. 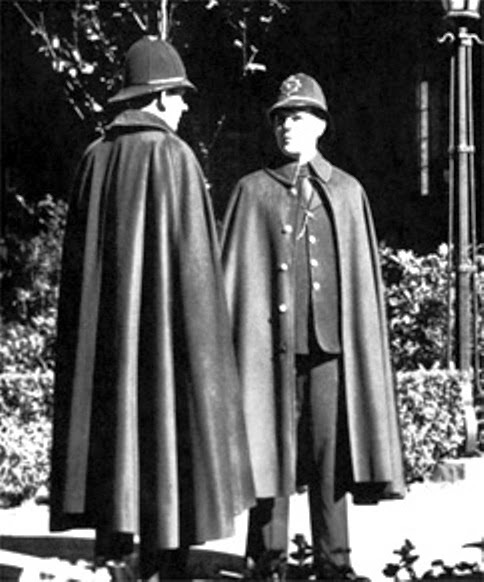 As a play on the name of the complex, Mandel had the doormen dress as London Bobbies upon opening. Mandel filled London Terrace with state-of-the-art amenities that included: Olympic sized swimming pool, an acre of gardens, a building-wide intercom system, on site shopping, a free page-boy service, a telephone message service, a penthouse community room, a roof top play area for children, a deck exclusively for children and another roof deck furnished like it was located on a ocean liner. 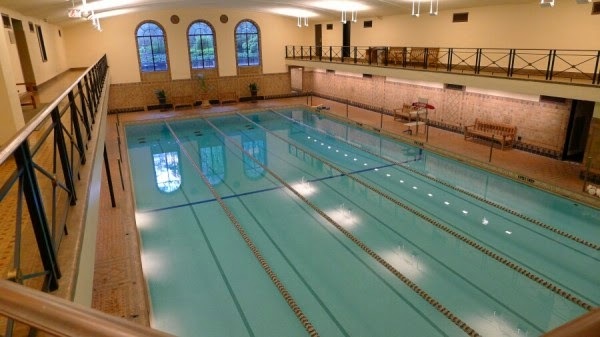 The pool, roof deck, gardens and intercom system are still in use today. The apartments filled up quickly, and three years after completion (1 January 1934), it was 94% rented. Three years after in 1933 the building fell into default - it was Great Depression that hit so hard. In 1948, the building was divided into two parts and sold to separate management companies. The towers went co-op in 1989 and the center buildings, known as London Terrace Gardens, remain as rental units to this day. You can rent today the alcove studio for $3,200 or three bedroom tow bath apartment for $9,500 per month. Chelsea Clinton lived there.